Rotherham United Manager Paul Warne wants his players to be the same whether they are in the team, on the bench or sat in the stands. He wants young, fit, hungry players, players he can improve and players he hopes will be staying at the New York Stadium for some time to come. On many occasions last season we heard the Millers players say that although they were a squad they were more like a family. Last week we found out that the Gaffer had ‘irons in the fire’ – or ‘volcano’ as he actually put it – and wondered what positions these ‘irons’ played in. Neil Cavanagh on Facebook said ‘We need two Championship ready solid tough centre half’s to go straight into the team it would be a great start’ while Josh Yeardley, also on Facebook thought we needed more new players saying, ‘Need a goalkeeper, one right-back, one centre-back, two midfielders and one striker’. As I’ve said before I think our first acquisition should be a ‘keeper, whether it’s Marek Rodak back (which would be my preferred choice) or another one as good who will slot in we need to wait and see. Personally, I like ‘old fashioned centre-backs’ who can fight their corner without having to think about it and as I can’t see us prising Josh Emmanuel away from Paul Hurst this season then we definitely need a right-back too. The rumour about the Millers being after former loanee striker Kieffer Moore have hotted up this weekend but I’m not sure we need another striker. Warney and his coaching staff put everything they’ve got into making a squad that are good together off and on the pitch, that cheer the others on when they are left on the bench. We remember former Rotherham Boss Steve Evans saying he was going to ‘route out the bad apples in the dressing room’. Whether he did that or not we probably will never know. 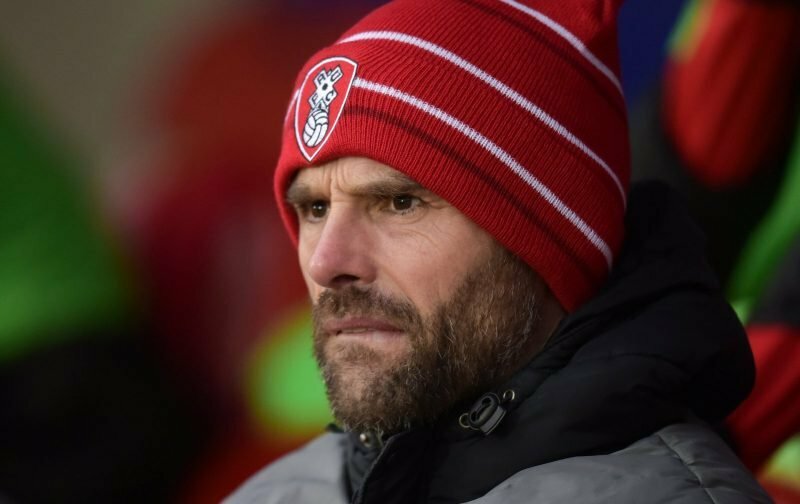 With Warney he’s bringing in ‘his’ players, the players he thinks fits with the ones already there – the players he wants to join the Millers family. Hope Rotherham hit the ground running but like at the start of the last pre season they are one of favourites for relegation.Hope they can work as a team and not a bunch of individuals playing for themselves. Hi Theo – that’s something we don’t do, play as individuals, we are a team and play as a team, even those left on the bench. Coming up through the play-offs we are always going to be favourites to be relegated. I have a feeling we might surprise a few people this coming season.